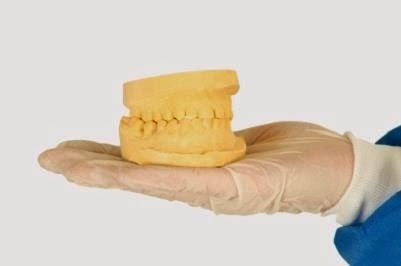 This article explains the difference between bridges, dentures, and dental implants to help you make the best decision for your smile. Your Appearance: In this image-focused world we live in, our appearance has a major influence not only on attracting a romantic partner, but also on achieving a successful career, influencing others, and being seen in a positive light by the people around you. We all want to have flawless skin, a toned physique, a flattering hairstyle, and stylish clothes, but the most important physical feature of all is perhaps one's smile. It's one of the first things people notice about someone when they first meet them, and stained or missing teeth can ruin a good first impression. It can also destroy your self-confidence. Let's take a closer look at obtaining dental implants in Maryland. Do you feel like your smile may be holding you back in your career, your ability to smile and laugh in social situations, or your willingness to smile in family photos? One of the most common physical features people feel unhappy with is their smile. It's a fact that our teeth can become discolored as well age - especially among coffee and tea drinkers. They can also become discolored because of genetic predispositions, accidents, certain medications, or simply poor brushing and flossing technique. Likewise, adult teeth can loosen and come out with advanced age, injury, chronic illness, or bad hygiene. A great smile can draw other people in and make them want to get to know you, while a bad smile can be off-putting and cause you to lose a potential client or fail to get that promotion on the job. Benefits of Choosing Dental Implants: Many decades ago, before modern dental technology advancements, when people lost their teeth the only options they had were dentures and bridges. These prostheses can temporarily solve a problem, but maintenance is difficult because you cannot floss properly with bridges. They also increase your chance of having a serious periodontal disease later on. Since bridges aren't permanent, they don't protect the gum tissue and bone from become increasingly unhealthier. These are just a couple of reasons why dental implants in Maryland are much more preferable to bridges. There are very few cases in which dentures or bridges would be preferable to implants. Dental implants are a permanent solution to missing teeth, and they end up being a more economical choice because they do not need to be replaced as often as bridges. Even better, they're made from inert materials that won't cause physical harm over time. They will also simply look like your real teeth, so others won't notice it's an implant. You won't have to worry about the appearance of your teeth when speaking, smiling, or laughing, and there will be no clicking when chewing your food. In general, Dental Implants in Maryland don't decay, and they tend to also be stain-resistant. Your surrounding teeth won't require crowns to support them. On the other hand, bridges need to be replaced when adjacent teeth show signs of decay; the crowns and bridges both will need to be replaced. There is none of this hassle with implants. Cost: When considering cost, you may think that dental implants are more costly than bridges or dentures. They are often not covered by dental insurance plans, and the initial costs can be more. Bridges have a lower upfront cost, but they will only last ten years maximum. You're making an investment in your appearance, which will lead to opportunities in your life that you perhaps never imagined possible before. Your Silver Spring dentist will be able to explain cost in more detail. Your dental implants will look like your actual teeth and will not need to be replaced. Most people decide that dental implants are the better choice, even financially.